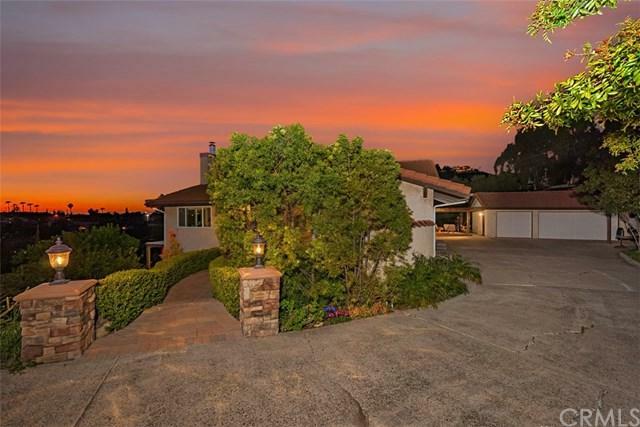 Secluded View Home in North Tustin. This spectacular 4 BR, 3 BA, approx. 3,300 SF view home sits on a 28,400 SF hillside lot at the end of a long private road. When you arrive at this gated property, the first point that comes to notice is the large driveway and parking area with a spacious 3-car garage and adjacent covered RV parking. As you approach the front door, the sound of the hillside stream creates a sense of tranquility that accentuates the breathtaking views. 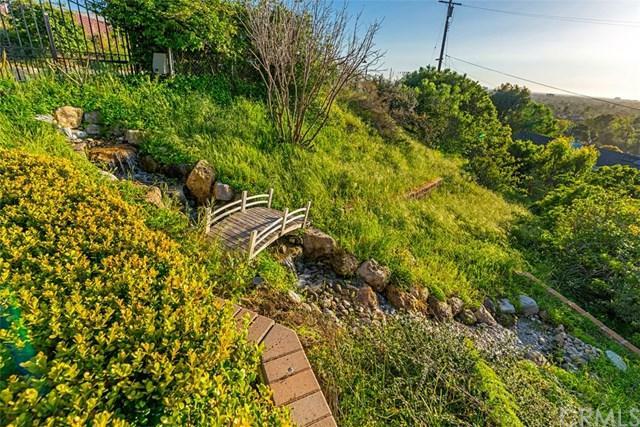 Inside, you will find a fantastic o Secluded View Home in North Tustin. This spectacular 4 BR, 3 BA, approx. 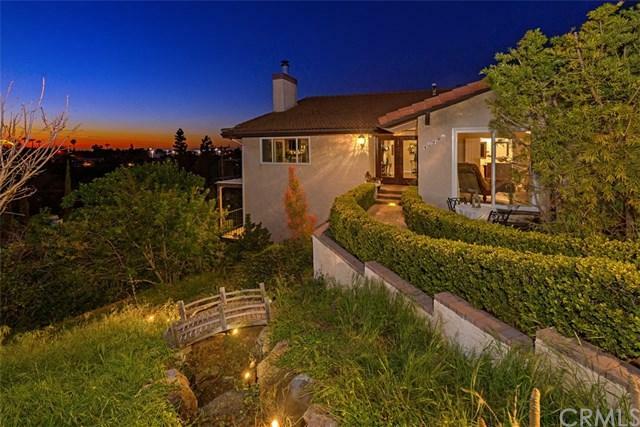 3,300 SF view home sits on a 28,400 SF hillside lot at the end of a long private road. 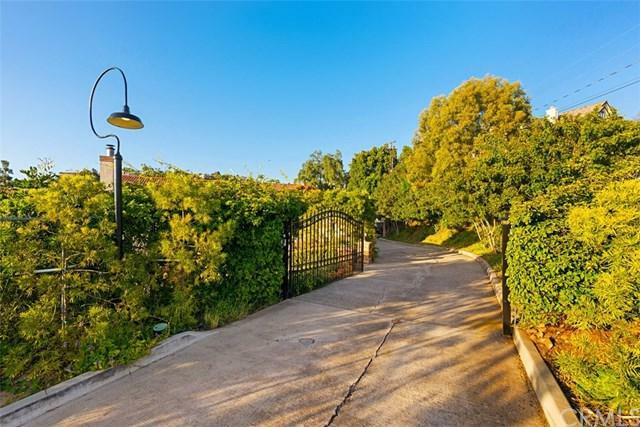 When you arrive at this gated property, the first point that comes to notice is the large driveway and parking area with a spacious 3-car garage and adjacent covered RV parking. As you approach the front door, the sound of the hillside stream creates a sense of tranquility that accentuates the breathtaking views. Inside, you will find a fantastic open floor-plan with single story living. The warm and inviting living room with fireplace leads to the formal dining room that is open to the beautifully designed and well-appointed kitchen. From the deck just outside, you will enjoy the panoramic sunset views and nightly Disneyland fireworks. The large master bedroom with walk-in closet and en-suite bathroom has a private deck and heated spa for relaxation. Also, on the main floor there are two additional bedrooms with a shared bathroom and separate laundry room. Downstairs there is another fireplace at the end of the large game room with bar which leads to the theater room and additional full bath. Furthermore, this floor has an approx. 600 SF gym, sauna and recreation room not included in the SF. Just outside is another balcony to enjoy the incredible views. There are no HOA fees, no Mello Roos tax and the award winning schools are Arroyo, Hewes and Foothill.